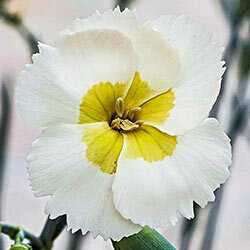 Dianthus have tons of blooms, painted in intricate patterns, that carry a sweet scent. They are so easy to grow, pollinator-friendly and deer tend not to bother them. 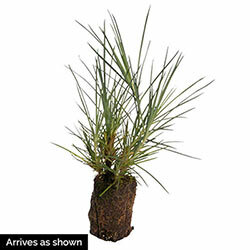 They are drought tolerant and make excellent rock garden features. 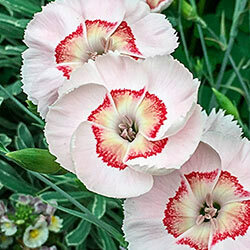 They're all-around good plants, but the three in our American Pie Dianthus Trio go above and beyond. 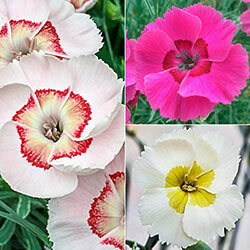 Bumbleberry Pie, Georgia Peach Pie, and Key Lime Pie all feature larger blooms, nearly 2" across, which carry the delightful dianthus perfume especially well. 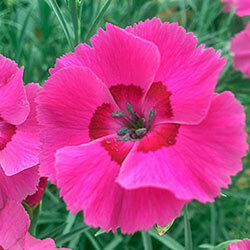 Big blooms on sturdy stems means these varieties are ideal for fresh, fragrant, cut-flower bouquets. And they are each supremely beautiful, their color patterns are one-of-a-kind. You don't have to choose between decorating your home and featuring them in your garden border either-they'll keep blooming in abundance from early summer to early fall. Also gorgeous in container gardening. But fair warning, growing dianthus is addictive... Plant these three top-performers and you'll be finding more and more room for dianthus in your landscape.